Tis the Season to be jolly! No matter the celebration—Christmas, Hanukah, Ramadan, Independence Day, etc, how can you make sure to get the most out of any holiday season? 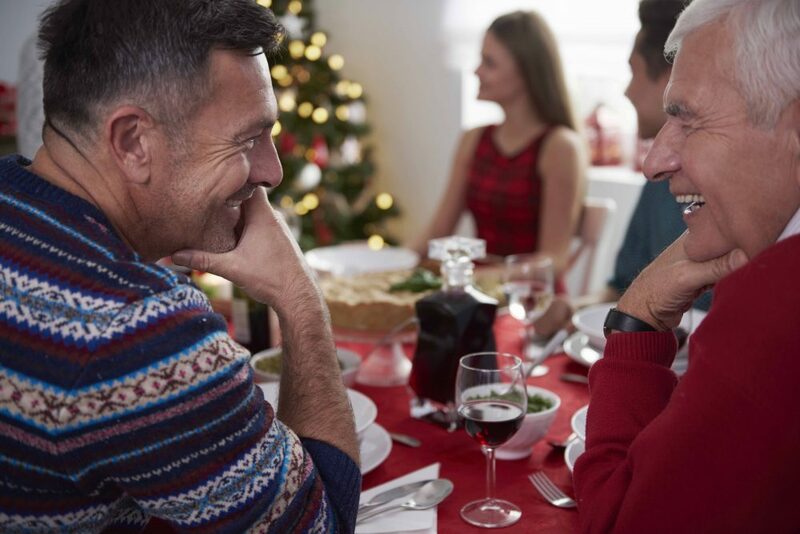 Keri Reynolds, a bilateral cochlear implant user and the Consumer Outreach Manager at MED-EL USA, shares some ways to enjoy this holiday season with your CI, including helpful communication tips. 10: Advocate for yourself! Actually, self-advocacy is important all year round, but especially when stress is high and patience is low in these busy festive seasons. I set ground rules and expectations for myself and others. I try to ask for help if needed and my goal is to be a quick extender of grace and kindness while not being afraid to expect it in return. Sometimes I may find myself in a noisy place and accurate hearing is critical to get location or price or other essential info. I look the speaker in the eye, point to my ear and politely let them know I need help to hear. More often than not, people just need to understand how to help. 9: Managing relationships. Closely associated with self-advocacy is applying this artful skill. To manage relationships, I make sure that others I connect with know I am a CI user. I let them know that I might need just a bit of assistance occasionally in hearing, especially at parties, restaurants and when multiple conversations are occurring. Lip-reading skills come in super handy at cocktail parties so ask your speakers to look at you when speaking. Expressing your needs with respect and kindness can go a long way towards achieving hearing success when you need the support of key people in your life. 8: Embrace the holiday season! This is the PERFECT time to go to that concert that I hoped would come to town. See a musical or play. Buy tickets to the symphony and enjoy listening to the music of the season. Expose your listening ears to new sounds and widen your experiences. It’s fun and social and keeps you in the game of life! 7: Give a new piece of technology a whirl. Are FM systems and captioning devices available at the movie? Check them out and enjoy the latest box office hit. I am such a fan! Is the concert hall equipped with a loop system? I activate my T-coil and soak in the melodies of the string quartet. I’ve learned how to be friends with the phone because I practiced. Are you ready to do the same? Set up a phone date with a friend or family member and try out a Bluetooth system that will assist you with finding phone success? Keep up with the technology times—or catch up if needed—and add technology to your hearing toolbox. 6: I pump up the volume on my rehab during the holidays. Music is almost always associated with various holidays. My CIs were “turned on” over 13 years ago and still, Christmas/Holiday music offers a great source of musical selections that allow me to practice, develop and nurture my music appreciation. I have a pretty good memory bank of lots of different Christmas and holiday songs so my brain already knows the tunes and a lot of the words. Listening to the various songs sung by different artists and played by a variety of instruments allows my ears to experience both new and familiar sounds while expanding the opportunity for more auditory stimulations. Since I am listening to music I love, it’s a win-win for me. Hearing exercise and rehab that doesn’t feel like work! 5: KISS (Keep it Simple Sweetheart). Instead of opting for the large crowd, cocktail parties to celebrate the holiday, I like to host and/or attend smaller, more intimate holiday gatherings. These settings allow me greater control over my surroundings and help me better manage conversations. And, enjoy the event so much more. For me, this is the season for quality rather than quantity. 4: Setting boundaries. If I do find that cocktail parties and/or noisy venues are unavoidable, then setting seasonal boundaries is critical to my health and sanity. How many loud or large parties is the limit for my social season? What time will I call it a night so that I don’t turn into a pumpkin? Who will I make sure is also attending so that I have some safe people I can converse with without expending every ounce of energy I have in order to hear? Know your limitations and protect them. BUT, don’t be afraid to experiment with new settings, people and surroundings. Boundaries help me stay sane but I don’t want to be TOO comfortable. Growth occurs when I stretch outside my comfort zone. 3: Managing shopping stress. Holidays are seasons to be jolly and also seasons for shopping. Sometimes crazy shopping—which can mean unnecessary stress. Planning is a definite secret to success. I like to shop when crowds are smaller and I am not vying for attention with the salesperson. This helps me have a focused conversation that I can hear and see. Also, stores that I am most familiar with are good options. I love the hustle and bustle of shopping malls – to a point. So, I always make at least one trip to my favorite mall/shopping center to soak in the sights and sounds of the season. But, my fallbacks are the smaller stores that are not packed with customers because I hear better. Oh, and don’t forget the phenomenon of the 21st century—shopping online! I don’t need my “ears” on at all to accomplish a pretty good amount of shopping. Maybe not as much fun, but sure does cut down the stress! 2: “Gift yourself!” I ALWAYS “gift myself” during the holiday season in a way that enhances my hearing success. The gift might be a piece of technology that will help me better enjoy a seasonal event or add to my ability to better manage my world of sound. It might be tickets to a special holiday event that I have anticipated seeing and hearing that will make my season brighter. Maybe the gift is just setting my boundaries so that I more fully enjoy the holiday season from start to finish. Whatever the gift, it increases my personal joy of the season and that allows me to share that joy with others, hopefully paying it forward. 1: Have fun—during the holidays and every day of the year! Turn up the volume on life every day. Enjoy the richness and the depth of sounds, new and old. Anticipate new opportunities that will expose your brain to new sounds and experiences. Meeting new people this holiday season? Don’t miss our 14 handy tips for meeting new people when you have a CI. Like this post on communication tips for this holiday season? Subscribe to the MED-EL Blog by entering your email below to get tips and tricks for rehabilitation sent straight to your inbox twice a week!